Apple shipped approximately 63.4 million iPads in 2014, but is predicted to ship just 60.1 million this year, IDC said. Android tablets, meanwhile, are expected to solidify industry control, growing from 154.7 million to 158.1 million units, or from a 67.3 percent share to 67.4 percent. The tablet market as a whole is predicted to increase from 229.7 million to 234.5 million units. The dark horse is said to be Microsoft —while just 11.6 million Windows tablets were shipped in 2014, amounting to a 5.1 percent share, those figures are predicted to increase to 16.3 million and 7 percent during 2015. "Microsoft is doing a lot of good things right now and we believe the launch of Windows 10 later this year will not only have a significant impact on Microsoft's share of the market, but on the industry as a whole," said Jean Philippe Bouchard, IDC's research director for tablets. "There is an appetite for a platform that can provide a productivity experience that remains consistent across multiple form factors and device types, and we believe Microsoft is well positioned to capture some of that demand." IDC's forecast in fact calls for Windows to take 14.1 percent of the tablet market by 2019, or roughly 38 million units. 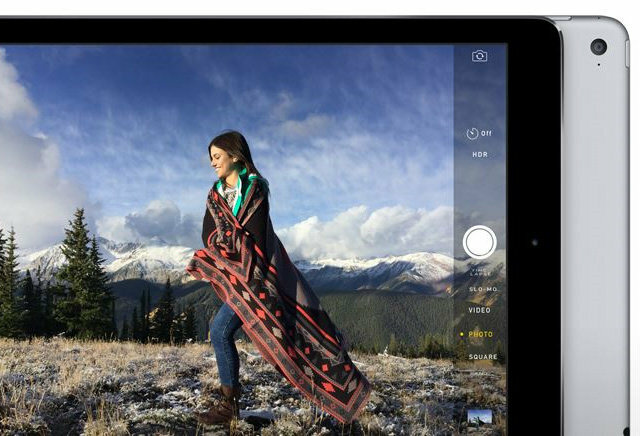 The iPad is seen shrinking to a 23 percent share, or 61.9 million units. Android is likewise expected to lose out, dipping to 62.9 percent or 169.5 million units. The global market is anticipated to be 269.4 million tablets. iPad sales have slumped in recent quarters. The exact causes are unknown, but speculation has pointed to a slow upgrade cycle, and the growing prevalence of smartphones that can duplicate tablet functions. Apple's own iPhone 6 Plus has a 5.5-inch screen, for instance, and in some apps offers an iPad-style interface. A 12.9-inch "iPad Pro" is rumored to be in development, and could potentially reinvigorate sales if the product offers significant advantages over a phone or standard tablets. The device may go into mass production in September.